The interior is a furnace compared to the crisp Samhain afternoon outside, though this is certainly exacerbated by the fact that I refuse to take off my large furry hat. First props go to front of house, who managed to find me a table with a plug when I indicate the need to charge my laptop whilst working, despite all such tables being originally occupied. I am seated in one of the tack rooms, which seems to empty just as I walk in; I suppose 4:20pm is just that bit too early for supper for most people, yet too late to catch the afternoon tea drinkers for which The Waffle House is a natural habitat. 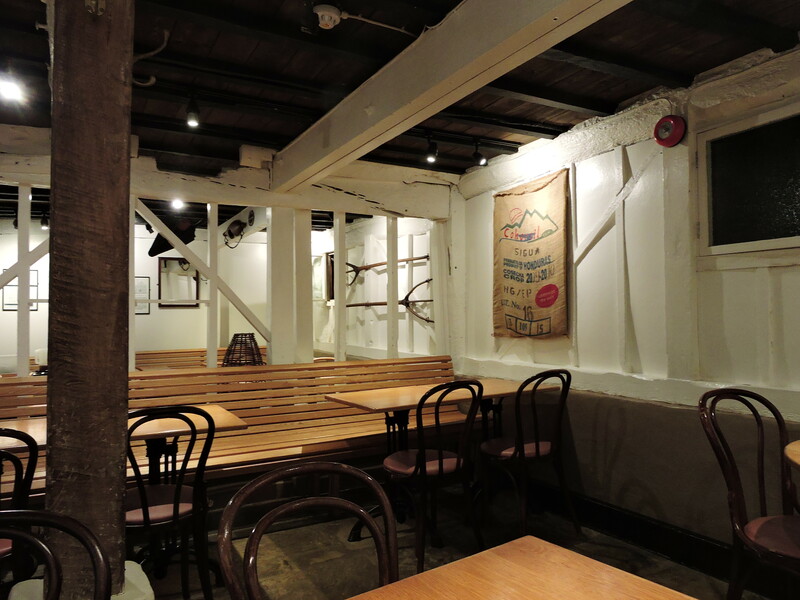 The walls are hung with antique farming implements, a hark back to the days when The Waffle House was a fully functional watermill serving the surrounding fields on the Gorhambury estate. Then these rooms would have been used to keep horses and store grain; now they are usually filled with punters like me looking for the perfect waffle. 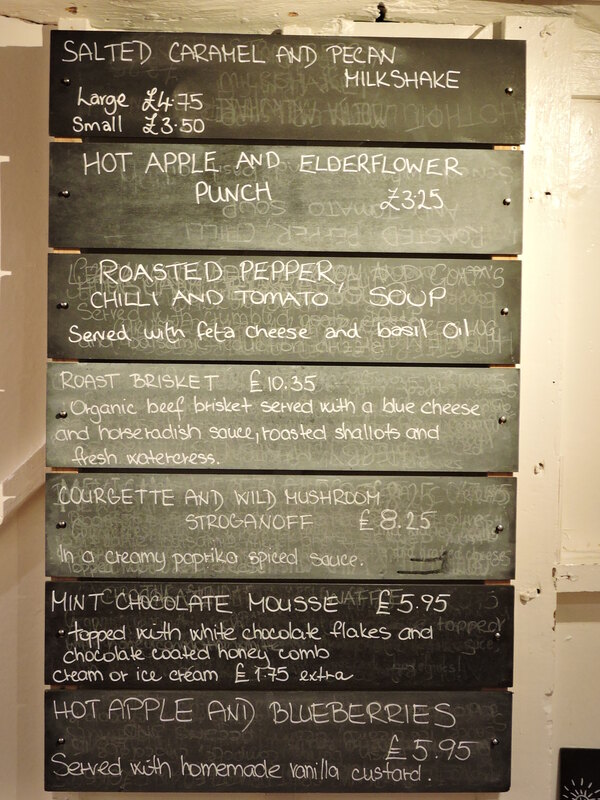 I have been here a few times before but not for years, and they have just released a new autumn specials menu, which I am keen to try out! 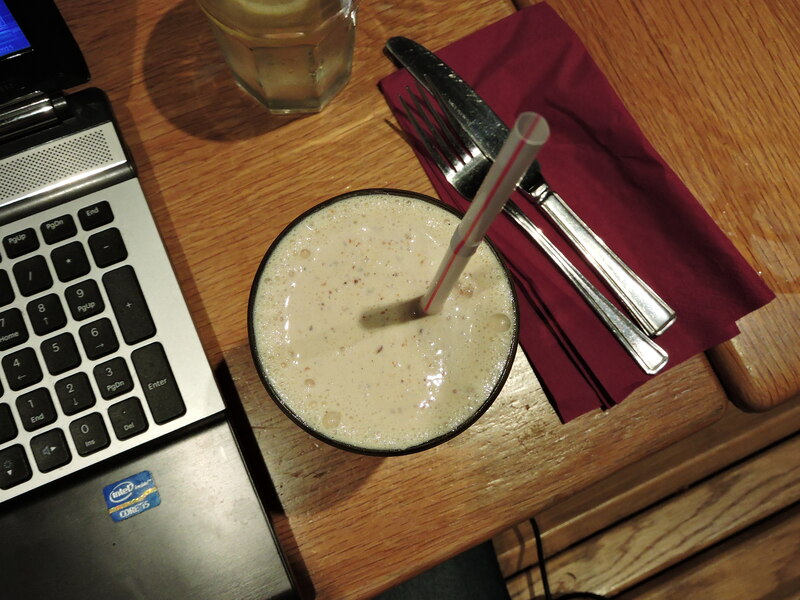 I order a classic vanilla milkshake to cool down whilst I try to decide what to order off the menu; thick and smooth as always, it disappears far too quickly. Somehow it feels like the glasses were larger in the past…..but it may just have been that I was smaller! 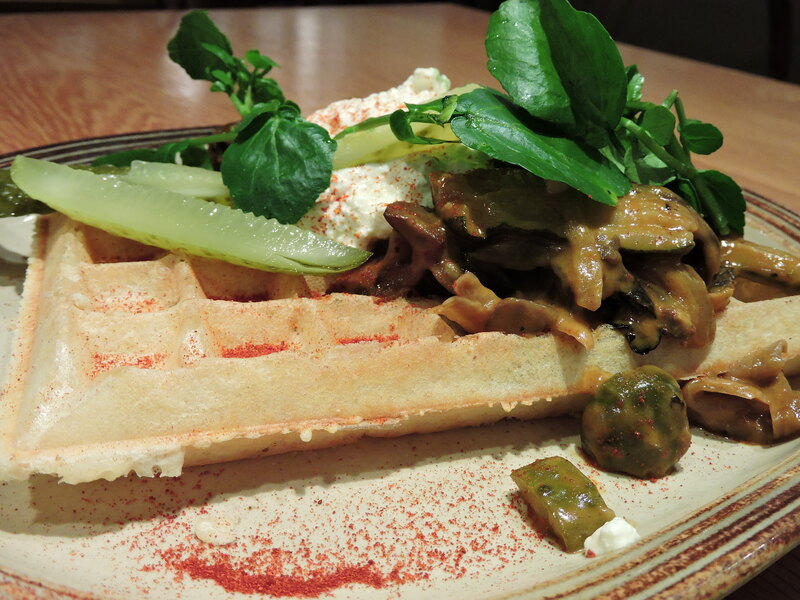 For my waffle, I end up plumping for a courgette and wild mushroom stroganoff off the specials menu. Sadly this is the wrong choice. The paprika is far too dominant so that you can hardly taste the mushrooms underneath; they more act as a scrunchy texture on top of the waffle, which is again left nondescript by the overwhelming taste of paprika. The topping is generous but this leaves the waffle floundering which, seeing as it is the waffle house is not such a good thing. I mean it was edible but it just wasn’t what I had been looking for and really left me wishing that I had stuck with my usual cheese, ham and mushroom. In complete contrast to this is the taste of my second milkshake, a Salted Caramel and Pecan. Now this is what I call a ‘special’. Upon first taste I made an audible ‘wow’ sound it was that good. Sweet and salty and nutty and rich and basically heaven in a glass, this is a milkshake that deserves to be drunk slowly. Indeed its very richness demands that you savour it. To drink it fast is perhaps to tempt fate! I was originally going to also try a sweet waffle for pudding (the sliced banana served with ice cream and maple syrup is a classic) but this milkshake is more than enough to fill me up forever. A good thing, as it costs almost as much as a main course! (Note to self – next time only drink one milkshake).